The Bell Pull dates back to c.1744 and was primarily used as an internal aid to summons servants from their quarters to the main house - as seen in Downton Abbey. However, it wasn’t long before it became an essential part of the main entrance door to the house or front door. 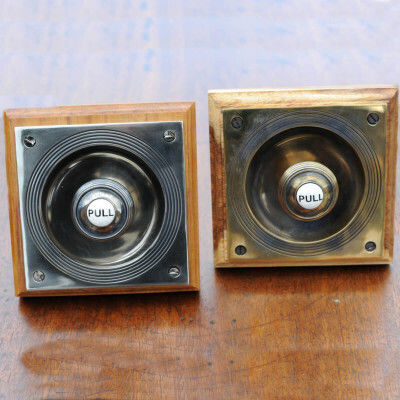 All of our Bell Pulls and Bells are faithfully copied from Edwardian and Victorian originals. Each one is made out of solid brass and finished in either Polished Nickel, Aged Brass or a Matt Antique Black. Bells are supplied with cord, a directional and extension pulley, fitting instructions and fixings. Bell Pulls are supplied with a dust liner, a blanking pulley, fitting instructions and fixings. Additional cord and pulleys are sold separately.